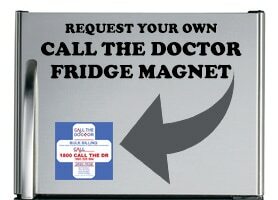 Call The Doctor is currently hiring Doctors, Drivers and Administration staff. For further information please select the appropriate link below for the job role you are interested in. We are currently seeking qualified doctors with at least 2 years post graduate experience to work after hours with our home visit service. 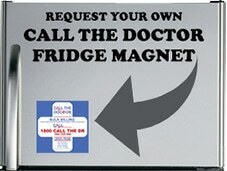 Call The Doctor is the provider of after hours medical services and is an accredited Medical Deputising Service. Excellent remuneration is offered, together with flexibility to accommodate lifestyle needs. Positions for fully qualified General Practitioners that are members of FRACGP or FACRRM. Relocation grants of up to $15,000 and retention grants available. Future Positions for IMG Doctors – *We cannot sponsor doctors at this time. Amazing income earning potential with the highest billings around with minimum income guarantees whichever is greater (minimum rate and percentage dependent on experience). Best support available – 24/7 operations centre with an efficient admin support team, simple-to-use systems, access to Medical Directors for clinical advice and mentoring. Work in other states – have a working holiday. Make the most of your sunlight hours: weeknight and weekend shifts available. Call The Doctor are a locally owned and operated doctor service focusing on primary patient care through the ethos “prevention is better than cure”. We help reduce the burden on hospitals, ambulance services other service providers in the community. The service allows patients access affordable after hours care at home or at Residential Age Care Facilities. With a large patient base our doctors support GPs to provide continuity of care. As a Doctor you will review and treat the patient while the driver will complete the required paper work- the driver accompanies you at all times. We provide you with a well stocked doctors bag that contains a range of commonly used medications, instruments and dressings. After each consultation, you complete clinical notes which will be sent to the patients daytime GP the following day for continuity of care. We employ a large variety of medical staff including GP’s, specialists, internationally trained doctors and hospital registrars. NOTE: NO SPONSORSHIP CAN BE PROVIDED. IF YOU DO NOT HAVE WORKING RIGHTS IN AUSTRALIA PLEASE DO NOT APPLY. We have positions available after hours with our home visit medical service. We require experienced medical receptionists / administrators for evening and weekend shifts. We have chaperone positions with potential supervisory capacity for the right candidate. Chaperone /driver/ doctor assistant positions for evening and weekend shifts to accompany doctors making house calls. We require drivers / doctor assistant for evening and weekend shifts to accompany doctors making house calls. We are not currently looking for management position, however, feel free to submit your application and we will review them when we are looking. We are currently seeking qualified doctors with at least 2 years post graduate experience to work in our after hours clinic. Positions for fully qualified General Practitioners that are members of FRACGP or FACRRM. Relocation grants available . Call The Doctor are a locally owned and operated doctor service focusing on primary patient care through the ethos “prevention is better than cure”. Our clinic is designed to help reduce the burden on hospitals, ambulance services other service providers in the community. We employ a large variety of medical staff including GP’s, specialists, internationally trained doctors and hospital registrars.